Naturipe® Farms has a wonderful selection of fresh berries available for all of youe holiday recipes. From cranberries, strawberries, blueberries, blackberries and raspberries, you can feel confident that you will enjoy the plumpest, freshest berries available when you choose Naturipe® Farms. I love to try new recipes so I was thrilled to learn that Naturipe® Farms has a wide selection of free recipes available online at their website. In celebration of autumn, I recently made the Sweet Potato Casserole with Cranberries recipe and it was a big hit with my family. In fact, my husband and kids have requested that I serve this as part of our Thanksgiving dinner. It features fresh ingredients like sweet potatoes, walnuts, orange extract and brown sugar and is highlighted perfectly with the addition of tart, juicy cranberries from Naturipe Farms. 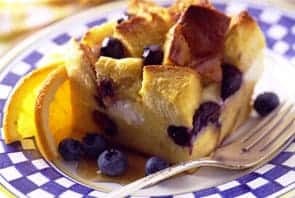 For my guests on Christmas morning, I plan to serve them the Blueberry Breakfast Bake which is moist and delicious using my favorite bread, egg Challah, cream cheese, maple syrup and plump, sweet blueberries. I like that this recipe is very easy to make, can be prepared ahead of time and is absolutely delicious……..a real crowd pleaser. You are invited to visit the Naturipe® Farms website to find your favorite recipe and get creative ideas for how to use your favorite Naturipe® berries. The “Recipe Finder” is so easy to use and you can search by berry type, occasion and/or recipe type. I recommend checking out some seasonal and holiday recipes. Naturipe® Farms berries can be purchased at a variety of retail store locations including Whole Foods Market, Costco, Giant Eagle and many more. You can view all of the retail locations to find the one closest to you by visiting the Naturipe® website. Connect with Naturipe® Farms on Facebook! One very lucky reader will receive a $100 Visa Gift Card from Naturipe® Farms! Chocolate Brownie Desert Pizza with Mixed Berries. I would love to try the Blackberry Oatmeal Bars recipe. The Blueberry and Custard-filled Star Puffs recipe sounds delicious. Pork Chops with Strawberry Relish? YES, PLEASE! I’d love to try the Chocolate Brownie Dessert Pizza with Mixed Berries. I will try the Double Blueberry Pie..the prep time is really fast and I love anything that has blueberries. I would like to try the Blackberry Roll-ups recipe. I want to try the pumpkin muffins. i would love to try fuzzy berry chicken, doesnt it just sound good and crazy!!! I would like to make the Classic Strawberry Pie. mmm…fresh blueberries and lemon parfait! Double Blueberry Pie sounds yummy! The Power Berry Smoothies get a big thumbs up! I would like to try the All American Strawberry Clouds recipe. I think the Classic Strawberry pie looks yummy. I would love to make the pumpkin muffins. i would like to try the raspberry rich turkey salad yummy! I want to try the All American Strawberry Clouds. I want to try the Power Berry Smoothies. i would liek to try the coconut strawberry cake yum! 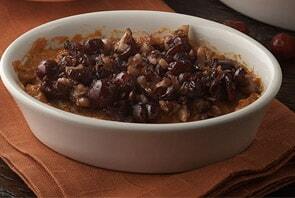 The Sweet Potato Casserole with Cranberries recipe sounds yummy! I like the Coconut Strawberry Cake recipe.